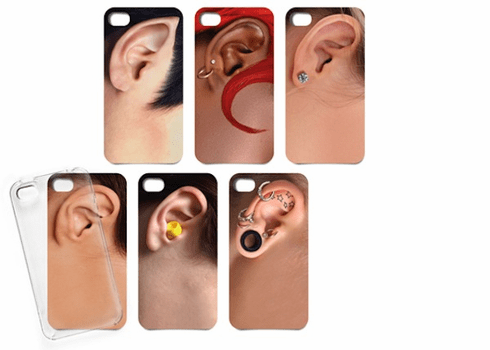 All Ears is a durable hard-plastic clear case that comes with six full-color trompe l'ear inserts that present a whole new you to the world. So mix and match - who will you be TODAY? Available in HIS and HERS styles, and designed to snap onto all iPhone 4 and 4S models. Price is per case. Styles subject to availability.